The classic Spanish churros ($10) at Del Mar, located at 791 Wharf St. SW, should be served at every table. One of the District’s newest restaurants offers a dessert that is for extreme sweet tooths only. Del Mar, located at 791 Wharf St. SW, opened in late October at D.C.’s new waterfront development The Wharf. The upscale restaurant overlooking views of a nearby marina will transport you to the Spanish island of Mallorca, where one of the owner’s grew up. The Southwest waterfront spot has large windows that allow natural light to seep into the dining room, giving it an airy atmosphere. The wooden tables and wicker furniture give the whole place a seaside feel. The Spanish restaurant is the latest from the owners who also run popular D.C. spots like Casa Luca on New York Avenue and another waterfront restaurant, Fiola Mare. Del Mar offers creative Spanish tapas and a large variety of seafood dishes. The dishes are inventive and tasty ranging from house-cured Icelandic cod ($16) to Vieras Con Trufa ($20), which is a dish consisting of sauteed sea scallops and sea urchin topped with a rich black truffle sauce. But at Del Mar, you must save room for dessert. The classic spanish churros ($10) should be served at every table. 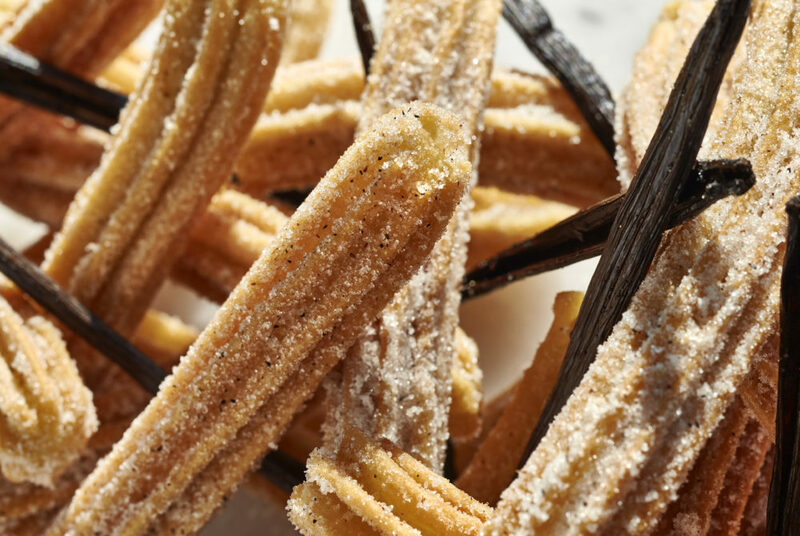 Churros are a quintessential Spanish dessert and Del Mar does the tradition justice. The outside of the churros are crunchy, as they should be, while the inside remains delightfully chewy and served warm. The contrast between the crunchy outside and doughy inside is one of the best things about the plate. A mixture of sugar and cinnamon coats the outside of the dish and sneaks into the nooks and crannies of the crimped exterior. The sweet grainy mixture will stick to your fingers as you devour this dish, but it’s so delicious you won’t mind licking it off. The churros are served with small dish of melted chocolate on the side that is used for dipping. The creamy chocolate adds to the sweetness and makes this dish extra decadent. Even with all the sweet aspects, you’ll want to refill the chocolate for more dipping which will keep you coming back to the new spot.